The Nine Network has axed Law Of The Land. Filming for the series ended just before Easter, and there are 22 episodes still yet to be screened. “I can understand them axing the show,” cast member Lisa Hensley told TV Week. “We’ve still got so many more to screen. They don’t need any more. The news doesn’t surprise me.” Law Of The Land was due to return to screen last month in its usual 9.30pm Tuesday timeslot, but the success of Seven‘s Fire in the same timeslot saw Nine change plans. Nine has yet to announce when the remaining episodes of Law Of The Land will go to air. For Robert Taylor (pictured), being shot is a regular hazard of his job. 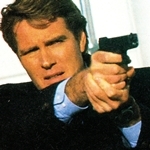 The star of The Feds telemovies is often cast as a detective, whether he is working on Australian, US or UK productions. In the latest The Feds telemovie, Taylor’s character Det Supt Dave Griffin cops a bullet to the chest — and Taylor was more than ready to take it on. “I loved it,” he told TV Week. “It was great, because I got to lie down for a day, and everyone else had to act around me.” The Melbourne-born actor is living in Los Angeles when not working on Australian projects. As well as support roles in various films, he played the lead role in Nash’s Vision, an American telemovie. Actor Pat Morita, best known for his role in The Karate Kid movies, says he had little trouble relating to his role in the Nine Network telemovie Singapore Sling. 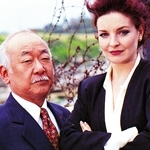 Morita (pictured with co-star Josephine Byrnes) plays underworld boss YC Kung, who seeks the help of a private investigator (John Waters) when his daughter and grandson are murdered. “I had no trouble at all coming to terms with my character’s pain and sense of loss,” he told TV Week. “I have had my own personal tragedies. By the time you have reached 60, you have built a book of living experiences and of highs and lows in life. I felt well equipped to play this role.” Morita, who lives in Hawaii, was very excited at the opportunity to work in Australia. “It was just short of orgasmic!,” he said. Heartbreak High was all but axed when filming on the last batch of 26 episodes was completed before Easter. But now the series is set for a reprieve, with word that BBC wants to fund a further series because of the show’s popularity in Europe. 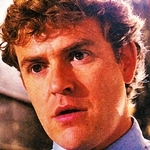 Damian Rice (pictured), who plays Dr Martin Dempsey in GP, is set to leave the series mid-year. 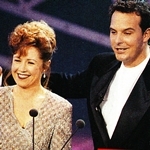 Meanwhile, rumour is that GP will not be renewed for 1996 although it is hoped that the arrival of Steve Bisley to the cast may be enough to convince the broadcaster to renew. Joining the cast of Network Ten‘s new soap Echo Point are Roxane Wilson, formerly of the short-lived Nine series Family And Friends, and former Chances star Kimberley Davenport. 60 Minutes and A Current Affair continue their battle over interviews. ACA was all set to fly to Paris to interview Jimmy Barnes to discuss his sudden departure from Australia and his multi-million dollar debt. Barnes was then asking $60,000 for the interview. ACA has refused to pay but 60 Minutes, not shy to open the chequebook for interviews, is now emerging as the winner. Saturday: Beyond 2000 (5.30pm, Ten) looks at the world’s first solar-powered camera; and how to set up a home cinema. Elle Macpherson, in Australia to promote her new fitness video, makes a guest appearance on Hey Hey It’s Saturday (6.30pm, Nine). Sunday: AFL Sunday includes West Coast Eagles versus Fremantle (2pm, Seven), live from Perth, and highlights of Melbourne versus Brisbane (5pm, Seven) at the MCG. Sunday night movies are Pretty Woman (repeat, Seven) and Ghost (repeat, Nine), up against the two-hour debut of US science-fiction series Earth 2 (8.30pm, Ten). Monday: In Neighbours (6.30pm, Ten), Mark (Bruce Samazan) plans a trip to the country to help Lucy (Melissa Bell), but she has other plans in mind. The Best/Worst Of Red Faces 3 (8.30pm, Nine) is followed by delayed coverage of the Rugby League State Of Origin, NSW versus Queensland (9.30pm, Nine). Tuesday: In GP (8.30pm, ABC), Sonia’s (Zoe Carides) art teacher, Joan (Maggie Kirkpatrick), has the unenviable task of caring for her sister Laura (Pauline Terry-Beitz) who is dying of motor neurone disease. Derryn Hinch‘s forum special The Body Beautiful (8.30pm, Nine) explores the world of cosmetic surgery and procedures; and Hinch gives a first-hand account of the operation he underwent in the lead-up to the program. In Blue Heelers (8.30pm, Seven), when a plane goes down in dense bushland near Mount Thomas, the Blue Heelers are involved in the search and rescue operation. 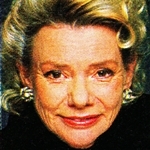 Wednesday: In Neighbours (6.30pm, Ten), Helen (Anne Haddy, pictured) and Reuben’s (James Condon) wedding day arrives, and Helen makes it her mission to reunite Reuben with his son. In Home And Away (7pm, Seven), Teresa (Diane Craig) rushes Selina (Tempany Deckert) to hospital. Thursday: In Home And Away (7pm, Seven), Selina (Tempany Deckert) spends some time in hospital. In Wildlife With Olivia Newton-John (7.30pm, Nine), Samantha Kume visits Lake Bardawii in Egypt, where she helps a local vet release an injured pink flamingo back into the wild; and Michael Beatty discovers that silk worms have spun a new industry for local farmers. Documentary series Wildscreen (8pm, ABC) meets John Young, a man who climbs the tallest rainforest trees in search of Australia’s four species of birds of paradise. Friday: In Neighbours (6.30pm, Ten), Danni’s (Eliza Szonert) new job proves to be harder than she thought; and Sam’s (Richard Grieve) birthday becomes a day of humiliations. Friday Night Football (8.30pm, Seven) crosses to the Sydney Cricket Ground for Sydney Swans versus Carlton. Robert Taylor did play another detective in an American part-modern day western, part- crime television series, Longmire while he’s in America.